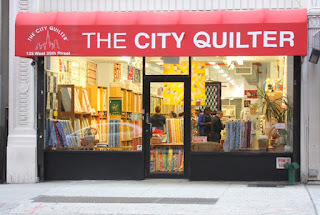 The City Quilter, on West 25th Street since 1997, will be closing in October. "After almost 20 years and more than 20,000 students passing through our classrooms, we’re sad to announce the closing of The City Quilter in October. We have enjoyed getting to know many wonderful people and have had an exhilarating time building up our business from scratch. But Dale and I feel it is time for a change." 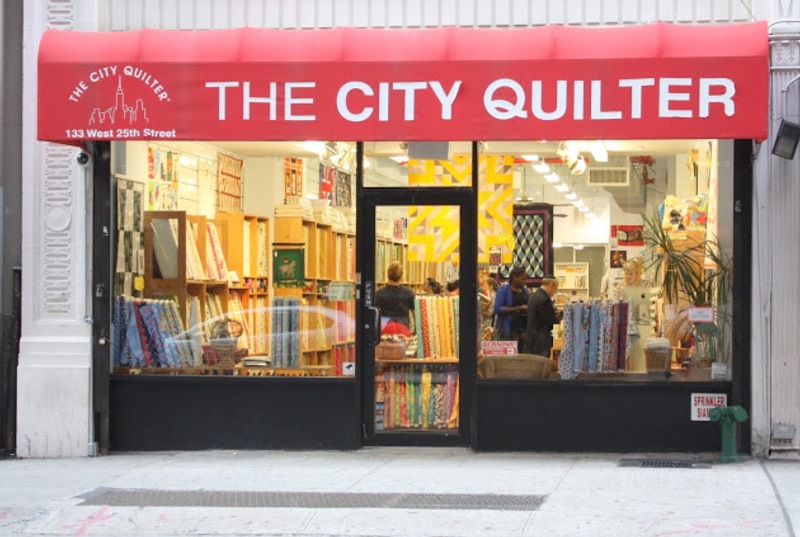 In addition to selling fabric and other sewing necessities, as well as offering many classes, The City Quilter maintained the ArtQuilt Gallery next door. That has already closed: "the expense of running the gallery could not be justified." City Quilter will continue to sell their fabrics online, expanding their City Collection. And before they close, they will be selling off their classroom quilting machines. I received the same email and replied, expressing my sadness at the news. I wondered if the rent had an impact, but there was no reason to think I'd get a frank answer if the question were put. The owners do appear to be older, so they simply may be shifting to a new phase in their lives. I should add that while I liked the shop, I am not a quilter. Despite the testaments in the video, quilting is not relaxing for everyone. The idea of cutting up little triangles and squares and sewing them with 1/4" seam allowances is maddening to me. In addition, modern quilting does not strike me as extremely eco-friendly: fabric is created, probably in the environmentally unsound conditions in which most fabric is created, only be to cut up and sewn together again. The quilts of the past recycled scraps of old fabric and genuinely reduced waste. I would probably agree with previous commenter as to the reason for closing not having as much to do with rising rents as the aging of the owners and the quilt/fabric business in general. 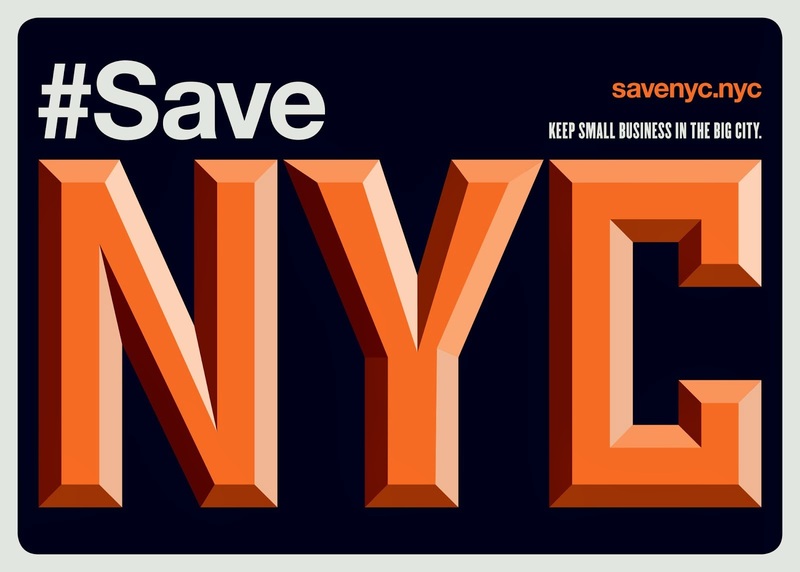 As someone who has been involved in the periphery of this business for almost 20 years myself, I see many of these shops closing and going online nationwide. It is a pity really, that the modern quilting "business" has not been more concerned with the effect of promoting new fabrics season after season (just like fashion) and instead promoted the reuse of recycled fabrics. But you can imagine that with the near disappearance of people sewing their own clothes (and therefore the dearth of scraps) quilting as a "business" took on a very commercial/consumer approach. There are some (like myself) who promote the usage of fabrics already in circulation for use in sewing, quilting and craft but it is not generally an endeavor that can sustain storefront space, employees, etc.. But we are here none the less. Just not as visible. I'm really sorry to hear the CQ is closing. I have always enjoyed that store and I'm not even a quilter! Great NYC fabrics and handstitching kits. It always felt like a place of inspiration.